After 6 months on public transport, I have finally bought a motorcycle, or a scooter to be exact. 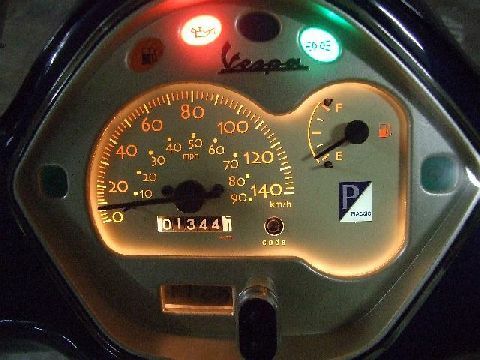 It’s a second hand Vespa LX150 with 1200km on the odometer during its 1 year 5 months of service. It comes in its stock midnight blue paint job. 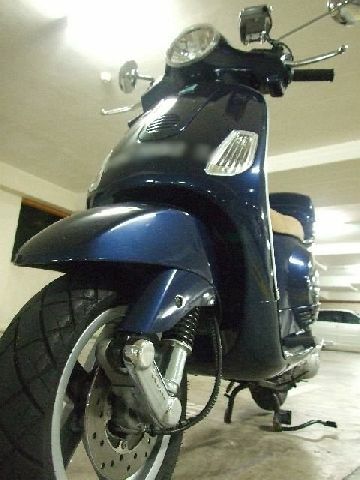 The nondescript colour is probably a decent choice for a guy riding a Vespa. Surely, you wouldn’t expect me to ride a pink Vespa? The ride so far has been great. Besides the obvious advantages of scooters (e.g. 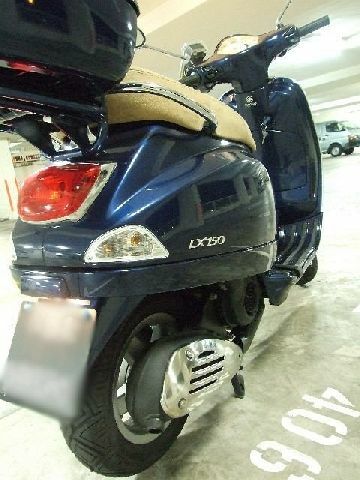 storage, leg protection against rain, no gears to change means no ruining of leather shoes), the Vespa LX150 feels zippy despite its small 150CC engine. I have tried going up to 110km/l on the speedometer but I doubt it can go much faster than that. Anyhow, the speed is more than adequate for city riding. The Vespa also attracts a fair bit of attention. Friends remarked about its cuteness and uncles at parking lots struck up conversations and reminisced their racing days on manual Vespas. 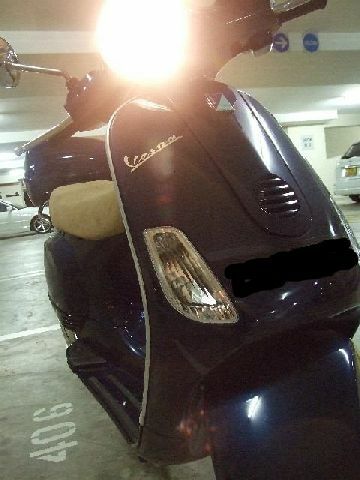 This entry was posted in General and tagged LX150, review, Vespa by atticus. Bookmark the permalink. Just bought the new Zeus ZS-3000, http://www.webbikeworld.com/r2/zeus-helmet/zeus-zs-3000/, it fits into the box! 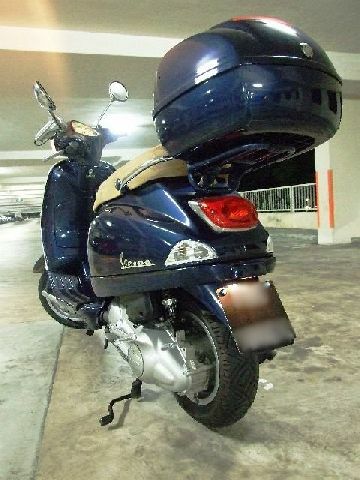 May I ask u how d 2ndhand vespa lx150 ? It has been a good ride. Any specifics yo0u want to know? how much did you bought it for,? 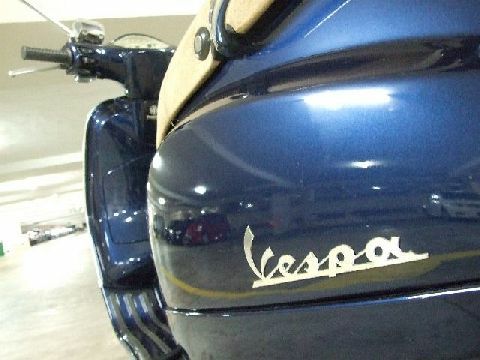 where can i find 2nd vespas? 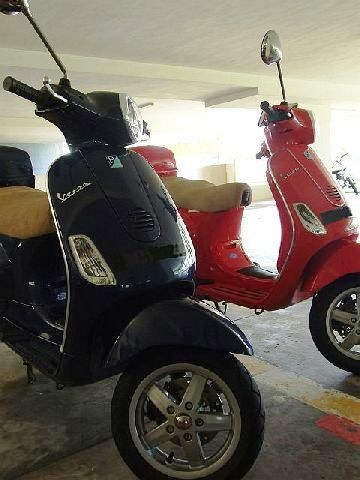 If you are located in Singapore, you can find 2nd hand vespas in motor shops or online classifieds in Singaporebikes.com and Vespaclub.sg forums. I paid around SGD5300 for my LX150.